Senator Syed Dilawar Abbas, Chairman Board of Directors of SNGPL has served in Pakistan’s Oil & Gas Sector for over 45 years. After completing his BA from Government College, Lahore and L.L.B from Punjab University Law College, he embarked on his corporate career with the Attock Oil Group in Pakistan. Mr. Abbas took charge as Chief Executive Officer at the young age of 39and a year later waselevated to the position of Group Chief. He continued to perform this role from 1986 till 1995 before taking an early retirement. As Managing Director of Attock Oil Co. Ltd. U.K,he served as a Director on the Board of Attock Oil Refinery;Pakistan Oilfields Ltd; Attock Chemicals; and Cap Gas (Pvt.) Ltd. 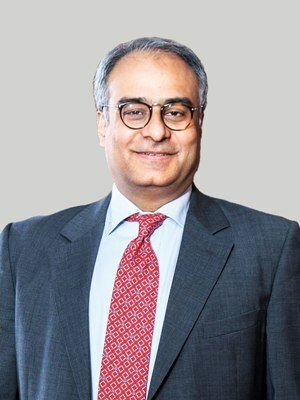 He was also appointed Chief Executive and Managing Director of Attock Cement Pakistan Ltd.,while balancing his role as board member ofPharos Holding Companies. 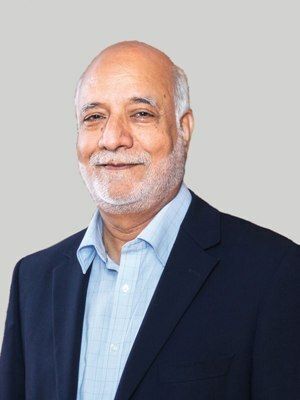 During his corporate career he twice accompanied the Prime Minister of Pakistan to the World Economic Forum in Davos, Switzerland.Post retirement he formed his own Management Consultancy Group called Priority Group. In 2003 he was elected as Member of the Upper House (Senate) of Pakistan fromPunjab. He served as Chairman Senate Standing Committee on Petroleum & Natural Resources for 6 years, and was member of several other key committees including Defense & Defense Production; Industries & Production; Prime Minister task force on WTO; and Member of Parliamentary Committee on Water Resources of Pakistan. During the caretaker cabinet of Justice(retd.) Ijaz Nisaar he served as Minister of Irrigation & Power, Punjab. Senator Abbas is an avid sportsman and has been playing tennis regularly for the last 40 years. He has served two terms as President of Pakistan Tennis Federation. He also served as a Board Member and Senior Vice President of Asian Tennis Federation for eight years. Currently he is Patron, Pakistan Tennis Federation; Honorary Life Time Senior Vice President, Asian Tennis Federation;Member Constitution Committee, International Tennis Federation; and Senior Vice President, Punjab Olympics Association. In his endeavor to promote tennis amongst the youth, he hosts an annual tournament inviting young players from around the world,under the banner of Syed Tajamul Abbas Memorial Tennis Championship. Mr. Sher Afgan Khan got his preliminary education, culminating in Senior Cambridge, from Aitchison College, Lahore. After completing his High School Diploma from Lahore American School, he graduated from University of Santa Clara, California, USA with BSc. 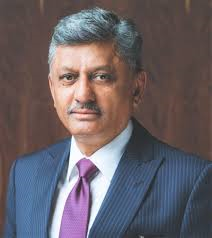 He joined Civil Services of Pakistan in PAS/DMG Group in 1989. After completion of training he worked in various districts as Assistant Commissioner, Executive District Officer and District Coordination Officer and in the Secretariat as Deputy Secretary and Additional Secretary in the Departments of Housing, Irrigation and Environment. He also served as faculty/Instructor in Civil Services Academy (DMG Campus) and National School of Public Policy. Prior to joining Petroleum Division in April 2018, he worked as Additional Secretary, Ministry of Interior. 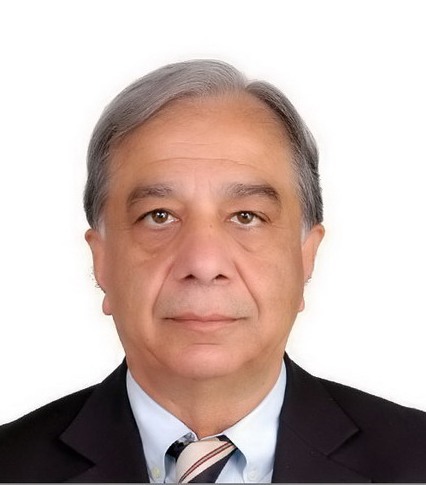 Currently he is serving as Additional Secretary Ministry of Energy Petroleum Division and director on the board of Pakistan LNG Terminal Limited (PLTL) and Pak Arab Refinery Limited (PARCO). Mr. Ahmad Aqeel is a seasoned entrepreneur and business professional with over 15 years of experience mainly in Oil & Gas, Power, Financial, Automobile Sectors & Petroleum Industry. He has been serving as a Director on the Board of Sui Northern Gas Pipelines Limited (SNGPL) for a significant number of years. He is the Chairman of Risk Management Committee & a member of the key Committees of the Board. Mr. Aqeel is serving as a Director on the Board of National Investment Trust Limited (NITL) & is a member of Audit & HR Committees of NITL. Currently he is alsoserving as an independent Director onthe Board of Nishat Power Limited (NPL), where he is also the Chairman of Audit & HR Committees. Mr. Aqeel is credited with setting up & managing retail business with Total Parco Pakistan Limited and CNG retail sector for a long period of time. In the past he was involved in the business of construction, high value building solutions & real estate. 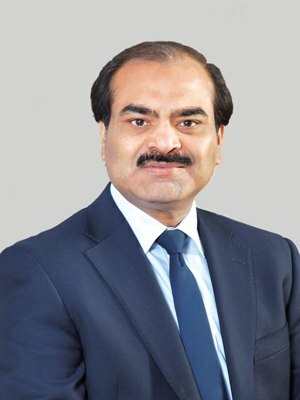 Mr. Aqeel is a Ravian, a Law Graduate from Pakistan College of Law of the University of Punjab and a Certified Director from Pakistan Institute of Corporate Governance (PICG). He has been attending local and international workshops and seminars and is also a member of Lahore Gymkhana. Mr. Manzoor Ahmed is presently Acting Managing Director, National Investment Trust Limited. Being COO, since 8 years, Mr. Ahmed has been successfully managing the operations and investment portfolio worth over Rs. 100 Billion. He has experience of over 28 years of the Mutual Fund Industry and has been placed at many key positions within NIT that includes capital market operations, investments, research and liaising with the regulatory authorities. He is M.B.A. and also holds D.A.I.B.P. At present, he is a candidate for CFA Level III. Mr. Ahmed has attended various training courses organized by locally and internationally reputed institutions like London Business School (LBS) UK and Financial Markets World, New York (USA). He represents NIT as Nominee Director on the Board of Directors of many leading national and multinational companies of Pakistan. Mr. Ahmed is also a Certified Director from Pakistan Institute of Corporate Governance. Ex. Chairman, Sui Northern Gas Pipelines Limited, Chairman - Lahore Gymkhana Club, Chief Executive, Popular Chemical Works (Pvt.) Limited. Mr. Rehman has served as Chairman- Lahore Gymkhana Club in 1997, 2008 & 2010. 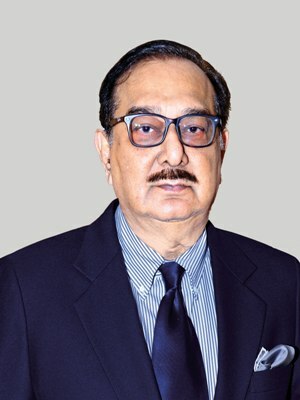 Chairman - Pakistan Pharmaceutical Manufacturers Association (PPMA) during 1999-2000, President – The Lahore Chamber of Commerce and Industry (LCCI) during 2004-05 and Member Managing Committee- The Federation of Pakistan Chambers of Commerce and Industry. He is Member Governing Body – Workers' Welfare Fund (Ministry of Labour & Manpower, Government of Pakistan). As an active Ravian, he is Member - Board of Trustees and Member - Endowment Trust Fund of Government College University (GCU), Lahore. Mr. Rehman has rendered remarkable services for Social Welfare. 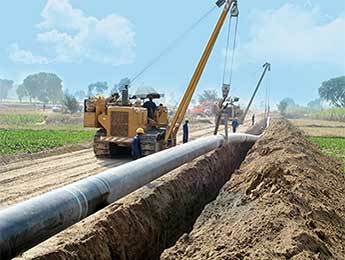 Mirza Mahmood Ahmad is Director on the Boards of Sui Northern Gas Pipelines Limited (SNGPL), Sui Southern Gas Company Limited (SSGC), Pakistan Engineering Company Limited (PECO) and Arif Habib Investment Limited. Mr. Ahmad is a partner of Minto and Mirza Advocates and Solicitors. He holds membership of Supreme Court Bar Association and Pakistan Bar Council and is also a fellow of the "Cambridge Commonwealth Society". 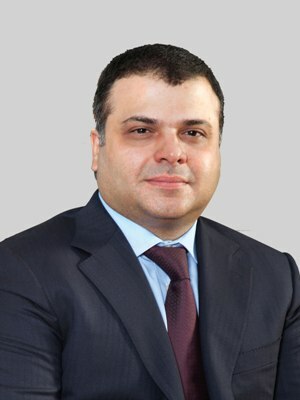 Mr. Ahmad has diverse legal experience having representation a number of leading public and private enterprises including various banks and financial institutions. He has several publications and research projects in his name. Mr. Ahmad is an LLM graduate from Cambridge University, UK and LLB from University of the Punjab, Lahore. Mr. Mustafa A. Khan has diversified experience of over 36 years in the gas industry. He has served at senior positions in Sui Northern Gas Pipelines Limited and carved a niche for himself as an expert in matters pertaining to Sales, Procurement, Law and Human Resource etc. Mr. Khan is a Masters in Business Administration from IBA, Karachi and is presently managing a 1,000 Acres family farm in District Mirpur Khas, Sindh. Engr. Qazi Mohammad Saleem Siddiqui Graduated from Mehran University of Engineering and Technology, Jamshoro with a degree in Mechanical Engineering. He also hold certificates in International Petroleum Management from Canadian Petroleum Institute, Canada, Negotiating Upstream Oil & Gas Contracts from CWC School for Energy Studies, London and Inspirational Leadership and Creativity from London Management Centre, London. He was associated with the sugar industry for about five years before joining government service in November 1990. Since then, he has held various positions in the Ministry of Petroleum and Natural Resources, including Assistant Director (LPG), Deputy Director (Concessions), Director (Technical), Director General (Petroleum Concessions), Director General (Special Projects/Administration) leading to his current post as Director General (Gas). 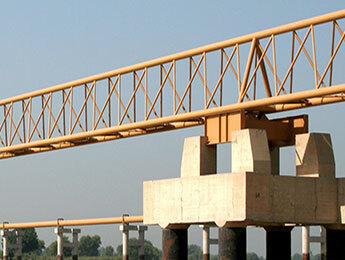 He has vast experience of over 31 years of Exploration and Production industry as well as downstream sector in Pakistan. 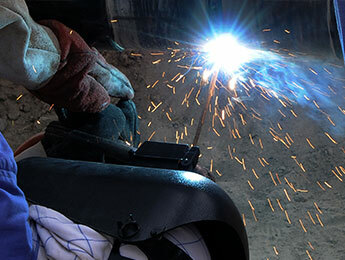 He has attended many courses/seminars/trainings abroad as well as locally. He has played a significant role in formulation of Petroleum Policy 2007, Petroleum Policy 2009 & Petroleum Policy 2012 and Petroleum Exploration & Production Rules 2013. Mr. Siddiqui is also Director on the boards of Mari Petroleum Company Limited and Sui Southern Gas Company Limited. He has also served as Director on the Boards of Pakistan Petroleum Limited and Sui Northern Gas Pipelines Limited. He is also member of Board of Governors of SAARC & Hydrocarbon Development Institute of Pakistan respectively. While representing Pakistan as GB member, he has been elected as Chairperson of Governing Board of SAARC Energy Centre during its 11th meeting held on 27-28 September 2016. 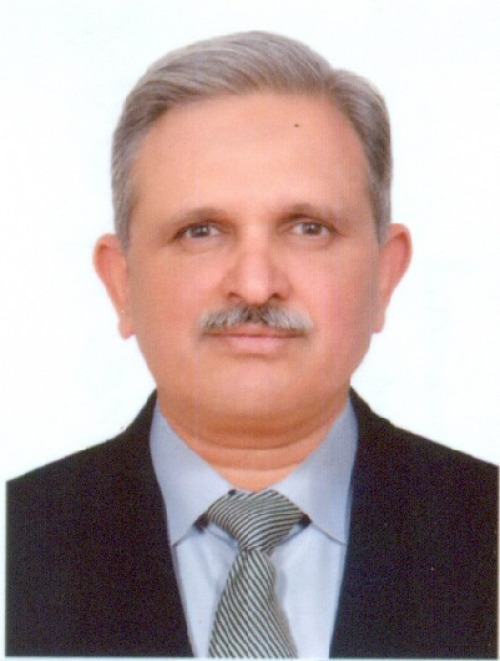 Mr. Mohammad Younus Dagha, born on 23rd April 1962, is a career Civil Servant having joined the Government of Pakistan in 1985. He possesses varied experience in the fields of Energy, Finance, Commerce, International Trade and Public Administration. He holds post graduate degrees in Business Administration, Economics, Law and Commerce equipping him with required academic background to adeptly manage multifaceted assignments in his career. During an illustrious career spanning over 20 years, he has successfully accomplished many challenging assignments. From being an Administrator at various tiers in the Provinces of Sindh and Khyber Pakhtunkhwa to Project Director in mega projects, Mr. Dagha possesses a vast and varied experience. He was assigned the challenging task of bringing country’s unutilised energy treasure in the Thar Coalfields to fruition – an immense natural resource with a potential of 175 billion tons of lignite coal, which till then had become an abject failure. Mr. Dagha conceived and successfully executed a plan to bring back the local and international investors’ interest in the development of the Thar coalfield. 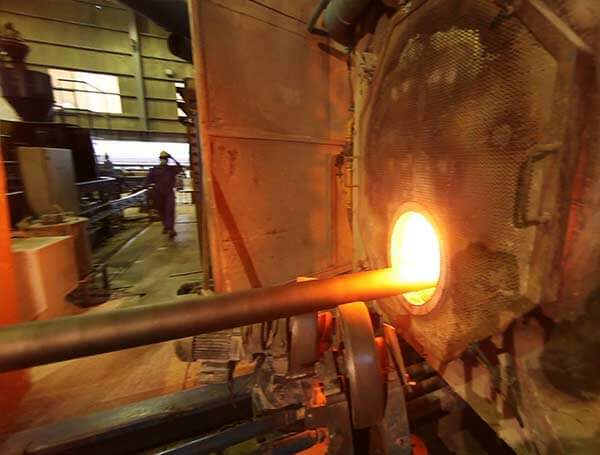 The JV between the GoSindh and Engro, known as Sindh Engro Coal Mining Company is now set to become the largest Public Private Partnership Company in Pakistan. As Secretary Investment in Sindh, Mr. Dagha facilitated numerous Wind Energy projects in Jhampir-Gharo Wind Corridor which are now fast reaching their execution stage. Similarly, during his stay in Gilgit-Baltistan as Chief Secretary, he played a vital role in facilitating land acquisition and resettlement process which is at a final stage now. Mr. Younus Dagha joined as Federal Secretary in the Ministry of Water and Power on 17th Oct 2014, at a difficult juncture when the power sector was facing multiple crises. Power outages, especially in the Industrial sector, were taking a toll on the economy, causing frequent protests. The inter-corporate (circular) debt in the sector was continuously mounting at a pace of Rs. 14.5 billion every month, the generation had retarded due to drying cash flow and no new investments were forthcoming under serious doubts over sector’s capacity to pay. The ensuing year 2015 became a game changer for the power sector. Benefitting from the assiduous management, effective monitoring and better financial controls brought in by Mr. Dagha, the power sector witnessed a major turnaround. The investors, especially under China-Pakistan Economic Corridor, were provided with the required policy incentives and facilitation to ensure timely initiation of the new generation and transmission projects. The result was that 2015 became the best performance year for the power sector not only in the history of the country but in the entire region. Country’s exports were in continuous decline for the last three years and a BoP crisis seemed imminent when Mr. Dhaga was appointed as Secretary Commerce in April 2017, to salvage the grim situation. On assuming charge as the new Secretary, Mr. Dagha chalked out an elaborate reform agenda for the Ministry of Commerce and its attached organizations. Ranging from Governance Reforms to Policy, Institutional and Commercial Diplomacy, all critical facets affecting the performance of the Ministry were revamped. In a short span of nine months he was able to secure and successfully implement a Prime Minister Export Enhancement Package to the tune of Rs. 180 billion for supporting the export industry. On the policy side, his achievements include; rationalization of imports, effective enforcement of SPS standards, simplification of procedures, formulation of e-commerce framework and preparation of five year Strategic Trade Policy Framework to provide a long-term predictable regime. His accomplishments in the area of Commercial Diplomacy comprise successful midterm review of GSP plus, launching of ‘Look Africa Plan’ market access strategy for South American region, unilateral expansion of Indonesia Pakistan Preferential Trade Agreement to include Pakistan’s priority export products, breaking the deadlock of long stalled negotiations on 2nd Phase of Pakistan China FTA and putting in place a robust monitoring mechanism to evaluate performance of the trade officers posted abroad. By far his most remarkable initiative is the launching of “Emerging Pakistan” campaign to successfully brand country’s image internationally. As a result of his prudent and timely interventions the decline in exports was not only arrested but put on a growth trajectory. Between July to December, 2017 the exports registered an average growth of 12%. Apart from this, Mr. Dagha’s tenure in the Finance Ministry as Special Assistant to FM and Additional Secretary (External Finance) provided him the insight into the working of the International Financial Institutions. Mr. Dagha is a loving father to four children-two sons and two daughters. He is an avid reader and sports lover who passionately supports Pakistan’s cricket team.